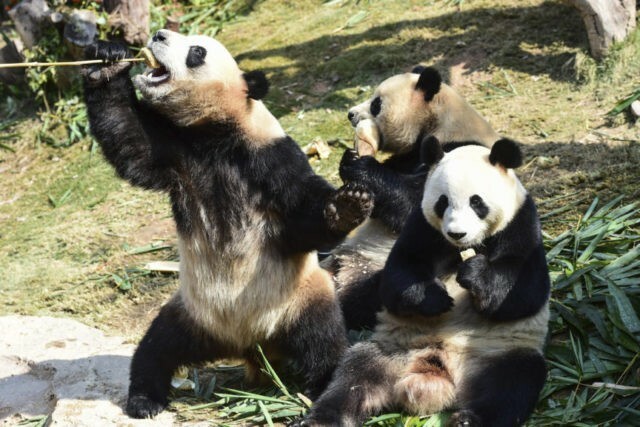 BEIJING (AP) — The Bank of China has pledged at least 10 billion yuan ($1.5 billion) to create a massive giant panda conservation park in southwestern Sichuan province, the forestry ministry said Thursday. Giant pandas are China’s unofficial national mascot and live mainly in the Sichuan mountains, with some in neighboring Gansu and Shaanxi provinces. An estimated 1,864 live in the wild, where they are threatened chiefly by habitat loss. Another 300 live in captivity.